Here are a few Agile Interview Questions for you! 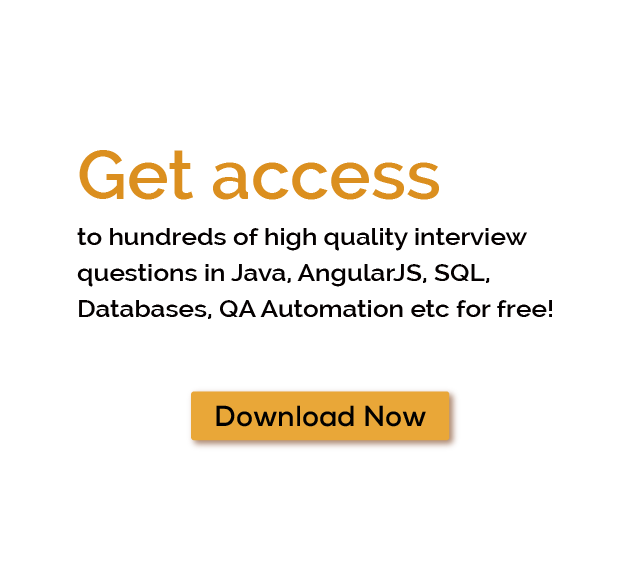 Download more High Quality Agile Interview Questions! Before we jump to the main topic let us traverse through the basics first. Software testing is a technique of checking the functionality of a software product to inspect whether the designed software meets the specified requirements or It is a method to identify the defects in the product (if any) in order to ensure that the product is bug-free, quality product and is fit for use. Manual testing is a process of Software Testing in which a designated person called a ‘Tester’ tries to find defects in software manually. A Tester should have the perspective of a client/end user and must ensure that all the features are working as per the requirement. In this process, the Tester executes the test cases and generates the reports manually with the use of any automation tools. After the functionality of the product is developed before delivery to the client. At the same time as the development phase of the project start as a contiguous process until the project is completed. However, in the waterfall development model also, unit testing is often done by the software development team even when a separate team does further testing. Agile Testing/Methodology is a type of Software Testing practice that follows the doctrines of agile software development. Agile Methodology is an iterative development methodology, where the requirements unfold through collaboration between the customer and self-organizing teams as per the customer needs. The Agile team works as a single team towards achieving Quality in shorter time frames called Iterations (ranging from 1 to 4 weeks). The Agile team tests the product continuously, which is the only way to ensure continuous progress. Testing is considered as a quality port in conventional methods, but agile testing can provide feedback on the on-the-go basis and ensures that product meets the business demands. In a conventional SDLC, only the test team tests while in agile, even developers and BA's can test the application. In conventional SDLC, it is only during the acceptance testing, the BA team will get to know the status of the product development, while in agile, they are involved for every iteration and continuous feedback shortens the time. Also, the cost involved in fixing it is even low. Raised defects are fixed in the same iteration, thereby keeping the code clean. Instead of lengthy documentation, agile testers use the reusable checklist(s), focus on the crux rather than the incidental details. In conventional methods, testing is done after implementation, whereas, testing is done during the implementation in agile testing. Scrum is one of the most recognized software testing methodologies. It adopts a highly iterative approach that focuses on characterizing objectives and key features prior to each sprint. Scrum is designed to reduce risk whilst providing quick values. Scrum is best suited for those whose customers and stakeholders wish to be actively involved by regularly looking up to working products at showcase meetings. This is because of its fast iterations. Kanban is simple Agile-based methodology rooted in production. It can be thought of as an extensive, prioritized to-do list. Like Scrum, requirements in Kanban are tracked in their current stage during the process. Kanban is not time-based, but solely on priority. If developers work faster than the testers in this kind of an environment, deadlines will crop up. In these situations, anyone in the team should jump in and help in different areas; this requires a great deal of flexibility and has to be adaptable. Kanban is best suited for small teams. It is also suited for teams that do not produce features for the public and/or assure a release date. It is the best choice for any products or teams which primarily focus on maintenance work since bugs are not always easily detected and often require research to be resolved, which makes time management issues. Teams that cannot minimize the amount of planning for issues are recommended to follow a Scrum or Waterfall methodology. Some of the many Agile Interview Questions listed below will help you get an idea about what questions gets asked in such jobs related to Software Engineering & Tech. Get through the Agile Interview bar with our selected Agile Interview Questions for all Agile enthusiasts! For thousands of similar Agile Interview Questions login to our Website or download EduThrill. Experience the thrill of challenging people around the world on Agile Interview Questions!